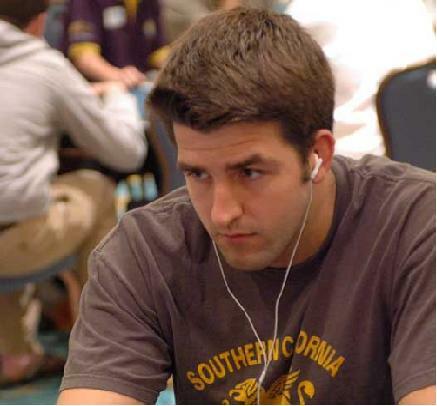 Brian Townsend or Sbrugby as he is known online is a professional poker player from Santa Barbara California.Brian Townsend has accomplished an incredible amount in an even more incredible amount of time. Firstly, Brian moved from 100 dollar no-limit cash games online to the highest stakes all in the course of a year. This is just an incredible run that is unlikely to be reproduced in the online poker world. Brian has also dabbled in Las Vegas and California poker rooms with more moderate success. Brian Townsend also had a very resounding success in the Las Vegas games including sessions in Bobby’s Room at the Bellagio. According to his blog, he had a session there where he won 1.85 million dollars. Sbrugby was so successful that he had thousands of railbirds following his every move online. Most of these stalkers were in simple disbelief. They thought Brian had a “golden account” or that Full Tilt Poker had somehow activated a magic switch! You can read through his old blog postings to see the extent of this (before his blog became moderated). On top of this poker successes, Brian Townsend has become a word class poker instructor. You can watch his videos by becoming a member of popular training site Cardrunners . Note: Affording the membership and sign-up fee can be a little steep for new players. However, there is a new way to join through Frequent Player Points (FPP) or Full Tilt Points. All you need to do is Download Full Tilt Poker, deposit some money and start playing. Your frequent player “milage” will add up as you play… And you will be able to buy a cheap subscription from the Full Tilt Poker score. Keep the tip :). Brian Townsend broke / busto / bust ? You’ve heard the question one million times whether Brian Towsend is broke. People always assume that a huge downsing is significant will bankroll exctinction. This is simply not the case. Brian Townsend has justed moved down to regroup and grind back a roll to play the nosebleed stakes on Full Tilt Poker again. So just how bad was Brian Townsend’s downswing ? A hundred thousand dollars ? Two hundred thousand dollars ? How about, say, 3 million dollars ! The unfortunate hand that triggered the downswing was played against Bobby Baldwin in Las Vegas. Brian Townsend tried to bluff him out of a 1.8 million dollar pot when Bobby held the nut straight. When Brian returned from Vegas a million dollar downsing awaited him in the online games. So all in all, a very sick downsing. Brian will be fine of course and he is set for life with the substantial amount of money saved from his previous successes and his stake in Cardrunners. We hope you enjoyed this article on Brian Townsend ! Please see our links below for more player profiles and additional info on brian townsend. This entry was posted on Sunday, October 12th, 2008 at 11:32 pm	and is filed under California Poker. You can follow any responses to this entry through the RSS 2.0 feed. You can leave a response, or trackback from your own site.